Every year, typhoons over the western North Pacific – the equivalent to hurricanes in the North Atlantic – cause considerable damage in East and Southeast Asia. 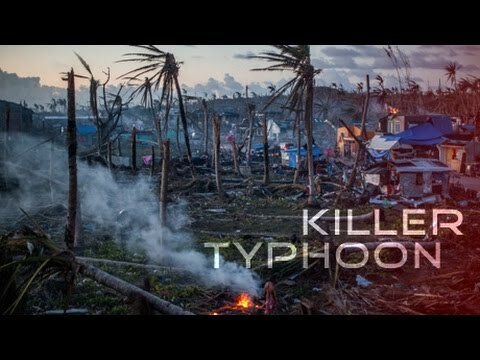 Super Typhoon Haiyan of 2013, one of the strongest ocean storms ever recorded, devastated large portions of the Philippines and killed at least 6,300 people. It set records for the strongest storm at landfall and for the highest sustained wind speed over one minute, hitting 315 kilometers (194 miles) per hour when it reached the province of Eastern Samar. The situation may get even worse. Our new study of what controls the peak intensity of typhoons, published in the journal Science Advances, suggests that under climate change, storms like Haiyan could get even stronger and more common by the end of this century. The lifetime peak intensity of a typhoon is the maximum intensity the storm reaches during its entire lifetime. It results from an accumulation of intensification, which is equivalent to speed being an accumulation of acceleration. To better understand the variability and changes in typhoon peak intensity, we employed a novel approach by decomposing the peak intensity (akin to speed) into two components: intensification rate (akin to acceleration) and intensification duration (akin to time). These two components vary independently from each other from one year to another. We then separately explored the climate conditions that were most strongly associated with the year-to-year variations in these two components. We examined various atmospheric and oceanic variables that might influence the rate of cyclone intensification. We looked at atmospheric pressure, vertical wind shear, or the change in wind speed in one direction, and vorticity, or the spin of the atmosphere. Surprisingly, we found that compared to those factors, ocean temperature most strongly correlated to the rate of cyclone intensification. Specifically, how strongly and quickly a cyclone can grow depends on two oceanic factors: pre-storm sea surface temperature and the difference in temperature between the surface and subsurface. A warmer sea surface generally provides more energy for storm development and thus favors higher intensification rates. A large change in temperature from the surface to subsurface (ie, cooling with depth), however, can disrupt this flow of energy. That’s because strong winds drive turbulence in the upper ocean, which brings cold water up from below and cools the sea surface. Therefore, a smaller difference between surface and subsurface ocean temperature favors higher intensification rates. On the other hand, the variations in the duration of typhoon intensification can be connected to sea surface temperatures associated with the naturally occurring phenomena known as El Nino-Southern Oscillation/Pacific Decadal Oscillation (ENSO/PDO). This is because in a positive phase of ENSO/PDO, warmer-than-normal sea surface temperatures over the central equatorial Pacific produce favorable atmospheric conditions for cyclone genesis near the equator and dateline. This allows developing typhoons to grow for a longer period of time over the warm water before reaching land or cold water. In sum, our analyses reveal that the upper-ocean temperatures over the low-latitude western North Pacific influence typhoon intensification rates, and that sea surface temperatures over the central equatorial Pacific influence typhoon intensification duration. We then quantified the relationships between typhoon peak intensity and these identified climatic factors – that is, local upper ocean temperatures and ENSO/PDO indices. We concluded that the strong rise in typhoon peak intensity over the past 35 years or so (about five meters per second; equivalent to half a category in typhoon strength) can be mostly attributed to unusual local upper-ocean warming rates. We analyzed the ocean temperature changes simulated by models from the fifth phase of the Coupled Model Intercomparison Project (CMIP5), a model for studying interactions between ocean and the atmosphere. We found that by year 2100, the temperature of the upper ocean will be more than 1.6 degrees Celsius higher than the baseline average of the 50-year period from 1955-2005 even under a moderate future scenario of greenhouse gas emissions. The continued ocean warming provides more “fuel” for storm intensification. Using the statistical relationships built from observations, we projected that the intensity of typhoons in the western North Pacific will increase as much as 14% – nearly the equivalent to an increase of one category – by century’s end. Wei Mei is Postdoctoral Scholar at Scripps Institution of Oceanography at University of California, San Diego.